While many Southern Californians don’t immediately think about train transportation when considering ways to commute, Metro trains are popular ways of traveling for students and other residents of the Los Angeles area. To be sure, both local railroads and national passengers trains run through California, and it’s important to be safe when it comes to the possibility of a train accident. According to a recent article from NBC Los Angeles, a Metro light rail train collided last week with an automobile near the University of Southern California, leaving a film student in “grave condition.” Officials reported that nine people who had been on the train, including the operator, were taken to the hospital following the car crash. How did the accident happen? Based on initial reports from investigators, the driver, Jacob Fadley, a 31-year-old film production graduate student, “may have made an improper turn to his left, crossed the tracks, and collided with the train.” The collision with the train resulted in the car being “wedged between the train and a pole,” which resulted in a train derailment. The automobile driver became trapped inside his badly damaged vehicle. In total, 21 people required medical attention from the accident, reported the Los Angeles Fire Department. One witness, a USC freshman, told authorities he heard “a big, loud crash of metal” while inside his dorm room. He added that “it was huge, so we knew it wasn’t just a car crash. We figured something big happened, so we looked out our window and we saw half of a car smashed into the rail.” The driver was rescued from his “crumpled Hyundai Sonata” and rushed to the hospital for treatment. Several other victims sustain serious injuries, including the train operator. Dean Elizabeth Daley of the USC School of Cinematic Arts reported that the driver, Fadley, “was very seriously injured,” but that he “is currently in stable condition.” Officials aren’t yet certain what caused the crash. The Los Angeles Police Department is looking into the possibility that there was a signal failure. The Department currently is in possession of an onboard camera that may provide some clarification. Some suspect a possible signal failure, given that left turns, such as the one made by Fadley, “are regulated by a red or green left turn arrow, and there are flashing alarms for approaching trains, which are supposed to get ‘train stop’ signals if cars are turning across the grade crossing.” According to Najmedin Meshkati, a civil engineering professor at USC, train crossing could prove dangerous and should be the focus of a new study. Don’t assume you can cross train tracks simply because you don’t see a train coming. 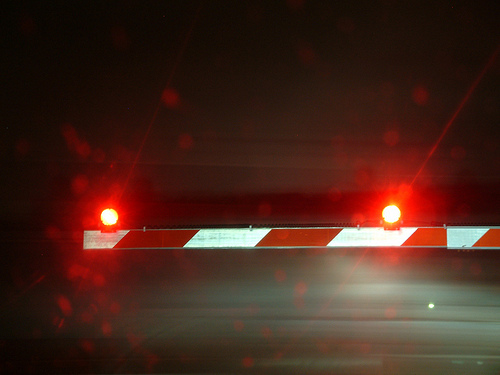 No matter what, abide by the safety signals at railroad crossings. Don’t walk along train tracks. It’s illegal, and you’re far more likely to suffer a serious or fatal injury. Don’t stop on the tracks for any reason while you’re driving. Always come to a complete stop before the tracks if the safety signals alert you that a train is nearby. Train accidents can be extremely dangerous. In many cases, negligence is a primary factor in derailments and serious collisions. If you or someone you love has been injured in a train crash, contact an experienced San Diego personal injury lawyer today to learn more about how we can assist with your claim.